Linh Rateau shares with us how over 10 years, Dancenter has become one of the highest quality establishments for dance education in Ho Chi Minh City. Back to 2007, what was your motivation to start Dancenter? How did you start? What was the dance industry like at that time? My first motivation was simply to share my passion for dance. When I arrived in Vietnam 16 years ago, I was looking for a place where I could keep dancing, keep learning and meet other dancers. However, with the exception of the respectable Dance Conservatory, which teaches ballet and folk dance, the choice was pretty limited. After a few years of teaching dance at several places, and having learnt more about Vietnamese culture and business culture, I felt it was time to open a “home” where all my students could share and practice together, a home where professional dancers, dance teachers and choreographers from Vietnam and overseas could meet and exchange together. Surrounded by fantastic people, I started the adventure with a strong team who gave me the energy and the confidence to do it. At that time, Dancenter was the first place of its kind in Vietnam, offering many dance styles for all ages and levels under one roof. Today Dancenter welcomes more than 800 students. What do you think are the keys of your success? Quality was and always will be our number one priority. We offer different levels from Beginner to Advanced to suit every students ability. Also the number of students per class is limited. Our professional team of teachers can focus on each student, nurturing their capabilities and making sure they accomplish realistic goals and feel proud of themselves. 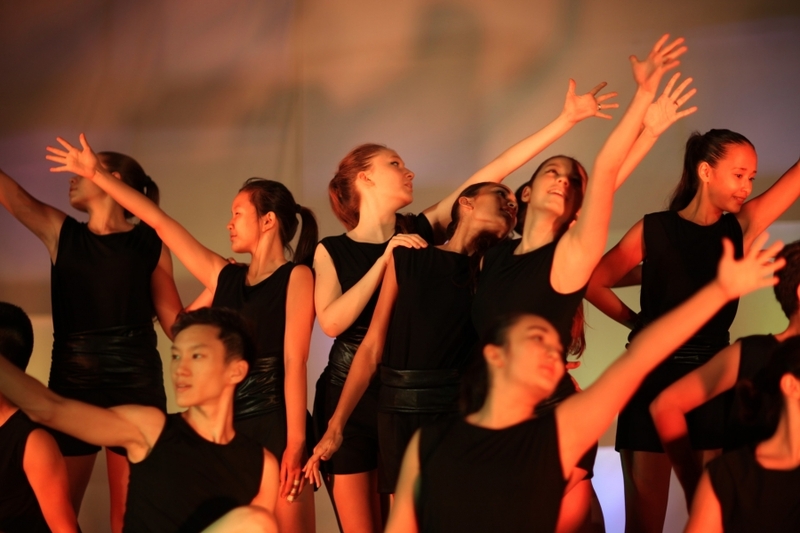 Dancenter’s ambition is to offer “dance for all.” From kids to adults, absolute beginners to advanced and professionals, our wonderful team of teachers encourage all students to challenge themselves at their own pace in a warm caring atmosphere. Several shy students who started dancing at a more mature age, shared with us how their weekly dance classes bring them so much happiness. Dance is more than a physical activity, it’s learning to appreciate the capabilities of your own body and how to express yourself through movement. Our team of teachers are experienced, dedicated and above all passionate. They have joined Dancenter from France, England, Canada, Denmark, Switzerland and, of course, Vietnam. Among them is John Huy Tran, who has been with us since day one and has become a major influence in Vietnam’s dance scene. Tell us more about UDG, your professional dance company? UDG has a solid reputation in Vietnam. What makes them unique? UDG was founded in 2009 under the direction of John Huy Tran. From many different dance backgrounds, this group of 15 young and talented dancers train together daily in our studio in all aspects of contemporary, jazz and hip hop. UDG are fortunate to work with international professionals to expand their knowledge and push the limits of not only dance but art in all of its forms. Amongst countless collaborations with other artists, directors and organizations, UDG have produced four of their own shows including the most recent production Between Us, which, due to its incredible success, will be performed again at The Factory on December 1 &2, 2017. Since its inception, UDG continue to inspire audiences through stage performances, film and international festivals making them one of the major dance influences in Vietnam. How will Dancenter celebrate its 10th anniversary? For this special occasion we will hold three events over three days. On May 28, our students will present not one, but three incredible shows. Dancenter will bring you a true theatrical experience, with passionate dancers performing all dance styles from ballet to hip hop. Following this, Dancenter will host two events where all are welcome to celebrate with us. On June 3rd we will throw an Evening Dance Party and we invite you and your family to celebrate with us at our fun Afternoon Party on June 4th.